Meet FittingBox. The story and the team behind Augmented Reality virtual online mirror solutions for the Eyecare Industry. We are FittingBox, inventors of the 1st digital mirror allowing you to virtually try on glasses thanks to AR technology. FittingBox was born in 2006, when cousins Ariel Choukroun and Benjamin Hakoun challenged themselves to successfully reinvent the traditional in-store mirror, and create a virtual one. This was after Ariel realized he needed Benjamin’s help with his next glasses purchase, because he couldn’t see himself in the optician's mirror! They set themselves the goal of improving the customer experience of others like Ariel, and those searching for their next pair of glasses in general. They also aimed to use this innovation to boost business for eyecare professionals. Be consumer-centric while applying the insights of eyewear professionals. We service 4000+ clients in more than 30 countries from our American and French offices. Provide breakthrough, innovative digital solutions for touchpoints in the eyewear path to purchase. We registered 14 patents representing $1.8 million in R&D investment in 2018. 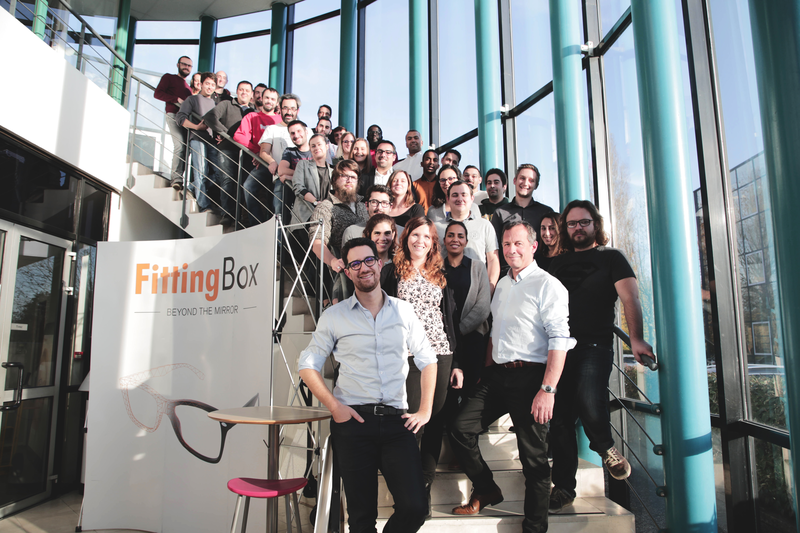 FittingBox is made up of 53 team members spread across Miami (Florida - USA) and Labège (Toulouse - France) averaging 33 years old and including 50% of women. We’ve compiled the world’s largest database of digital frames (66,000 frames). We registered 12 patents for technological innovations and our R&D investment for 2017 was $1.7 million. "A big thank you to all past, present and future collaborators, our customers and partners that bring the FittingBox adventure to life."